Door switches for Sharp commercial microwave ovens. 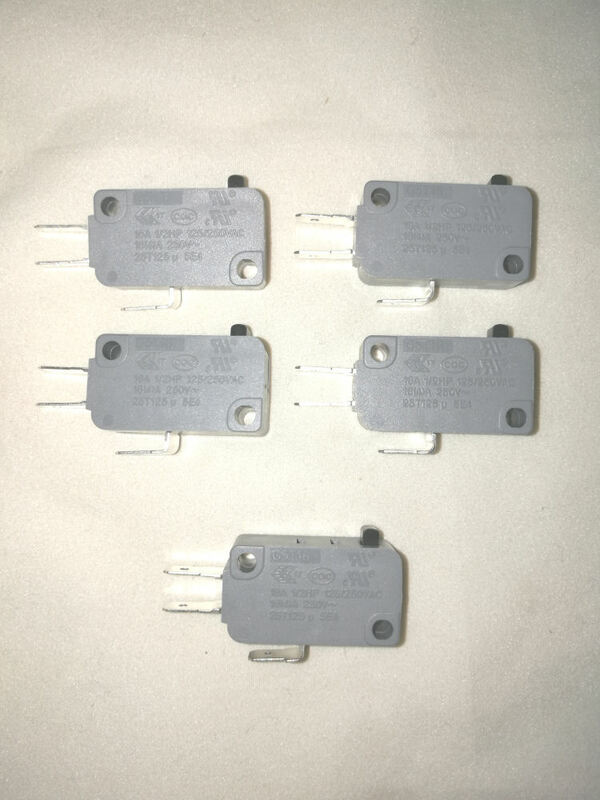 Set of 5 door switches for Sharp commercial microwave ovens. 5 x light tension, small terminal (4.3mm) microswitches. These are universal 3 tag switches so care must be taken to connect the correct tags when replacing them. Microwave ovens should be repaired by a competent person. Sharp R-24AT (R24AT) commercial microwave ovens. Sharp R-25AT (R25AT) commercial microwave ovens.